When it comes to finding the best new car for you, it’s important to make sure you’re getting a good deal. Buying a new car is a big decision, one you’ll probably be making payments on for the next few years. And especially if this is your first time buying a car, it can seem overwhelming going through all the safety and features reviews, not to mention narrowing down the cars you may like. Be sure to check out AutoTrader’s car buying guide to help you out in this process. While you’re deciding on your next vehicle, here’s a breakdown of some of the best new cars for 2018. Since the Honda Fit is so small, it’s an ideal car if you drive mostly within the city limits. If you venture out on the highway a lot, you’ll probably notice the Fit is a bit slow to accelerate. The car’s good gas mileage helps make up for this, however, getting 33 mpg in the city and 40 mpg highway. Models with manual transmission are a little lower, with 29 mpg in the city and 36 mpg highway. The next Honda on the list is the iconic Honda Civic, which has undergone a few changes in the last decade for a sleeker appearance. What gives the Civic an edge over its competitors this year is its fuel economy, which along with high safety scores and plenty of cargo and cabin space make it a great pick for your next vehicle. For a standard, classy car, the Honda Civic is a great choice as it maintains its reliability and dependability year after year. Hondas are arguably among the best cars in the market, with several fantastic options to choose from. If you want a smaller car with more room than the Fit, a Civic is an ideal choice for you. Comfortably seating 5 adults, the Camry is a good choice for both in-city and longer travels. The trunk space is a bit less this year, sitting at 15.1 cubic feet, but the comfort of the ride makes up for this decrease in space. 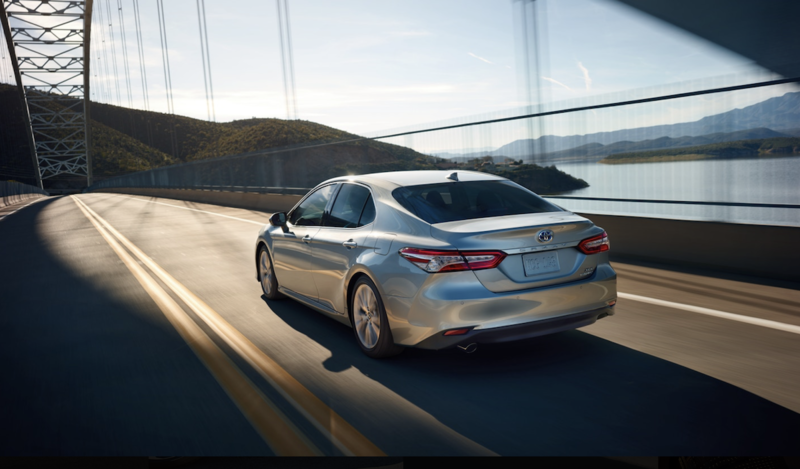 With four-cylinder engines starting at 203-horsepower, you’ll easily get a burst of speed on those daily drives. For a car with the same amenities but an even smoother ride, check out the Avalon Hybrid. At the end of the day, you’re the one who knows best which car can meet your needs. Don’t be afraid to take your time shopping around to find the best deal so you can find something right for you at a price you can afford.